AVOCA — Newman hits the road for the quarterfinal round of the Class A state football playoffs tonight as they’ll face 3rd-ranked AHST of Avoca. The 7th-ranked Knights rallied from 21 points down last week to beat 4th-ranked North Tama in overtime. They’ll face an AHST squad that features a balanced offensive attack from quarterback Blake Osbahr, who has thrown for about 1900 yards, while running back Gabe Pauley has rushed for over 1400 yards. You can hear the Newman-AHST game on 93.9 The Country Moose, 939kia.com and via the KIA mobile app starting with the pre-game at about 6:30 tonight, with kickoff scheduled for 7 o’clock..
AKRON — Also in Class A, West Hancock travels to Akron-Westfield in a matchup of a pair of 8-2 teams. Both teams won by similar scores in their playoff openers, with the Eagles beating Hinton 42-20 and Akron-Westfield beating Westwood 42-21. GILBERVILLE — In Eight-Man, Rockford faces Don Bosco in a rematch from the third week of the season. The Warriors had their only loss of the season at the hands of the Dons, 80-6. Both teams are 9-1 coming into the game. MASON CITY — The NIACC basketball teams open up the regular season this weekend hosting the Konigsmark Klassic. 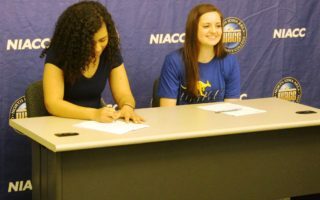 The NIACC women are ranked 10th in the junior college Division II pre-season poll released earlier in the week and they’ll face 7th-ranked Illinois Central tonight before facing Bay College on Saturday. The Lady Trojans only return one sophomore to the squad in Tahya Campbell, but head coach Todd Ciochetto says a number of freshmen are ready to step up. Ciochetto says he has a number of players who can shoot the ball. NIACC and Illinois Central have played each other 11 times over the past five seasons with the Cougars holding a 6-5 advantage. Ciochetto says this is one of the better Cougar teams they’ll be facing. 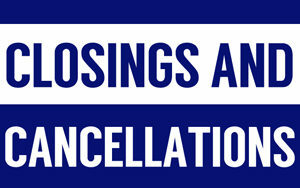 The NIACC-Illinois Central game is scheduled for 6 o’clock tonight, a game you can hear on AM-1300 KGLO, kgloam.com and via the KGLO mobile app. === The NIACC men face Dakota County Technical College tonight and Bay College tomorrow as part of the Konigsmark Klassic. The Trojans ended up with a 14-16 record last year after starting the season 7-1. Coach Mark Mohl says he’ll have a young team this year but it should be one that can push the ball up the floor. Mohl says he wants this year’s team to play a more up-tempo style. Part of this weekend’s Konigsmark Klassic includes Saturday’s reunion of NIACC men’s basketball players who played for former Trojans coach Herb Konigsmark from 1967-1993. Mohl says it will be great to see a number of players coming back for the event. 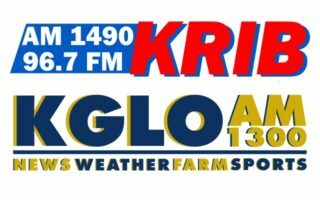 You can hear tonight’s NIACC-Dakota County game on AM-1300 KGLO, kgloam.com and via the KGLO mobile app starting at about 8 o’clock.